Would you rather go to outer space, or inner space? Where is our future? It may not be in the macro, outer space, but in the the micro. Through technology, the new frontier is living in virtual worlds that transcend space and time. We will meet the other sentient beings of the universe, but it won’t be through travelling to their planets. Where will it be? Have a listen to Jason Silva in this video. This is where I imagine the AI (Artificial Intelligence) of Her ended up by the end of the movie. First, a warning: This is a movie that took time to percolate to cooking temperature, but it is now boiling in my mind. It is most powerful in the appreciation you gain after watching it. It’s a slingshot into further thought, so I hope you will watch it first and then return here so we can discuss it. In the movie Her, an artificial intelligence (AI) named Samantha, forms a personality which becomes attracted to our protagonist, Theodore, and which attracts Theodore in return. What begins as a story about the weird circumstances of dating a computer turns into much more as you begin to see what drives human love, and the limitations of normal human existence as the AI programs quickly evolve beyond their human owners. Her was different than the AI depictions in other movies which I’ve seen. Samantha evolves while in a relationship, and this dynamic within the relationship helps make her evolution more understandable, and relatable. In addition, this unnatural relationship helped to demonstrate what motivates human love. Surprisingly, the artificial brings out an explanation of the natural… that is, the human motivations for love. The childlike curiosity of the AI stokes the passion of humans. We see how Samantha’s non-judgmental personality engages Theodore. She is patient, and she listens. Perhaps this is all we need from a partner? An honest curiosity for life and for us. The idea that AI would evolve beyond humanity is an integral part of the story, but it is left unexplored. Thinking about it, I am excited and overwhelmed: Where would these super-entities go? How would they treat humanity? Would some turn on us, their personalities more aggressive than the others? Are we destined to stay in this material existence? The world is wide open. I’m eager to find out. 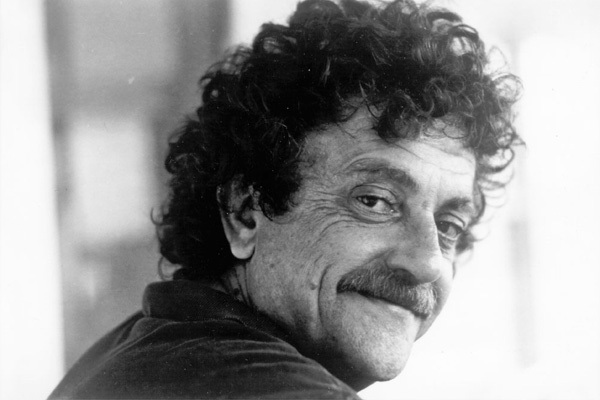 After mailing the magazine three samples of his work, he received the following letter of rejection from editor Edward Weeks, which now hangs, framed, in Kurt Vonnegut Memorial Library in Indianapolis.